New Liebherr-built container cranes are delivered alongside the pier at Crowley Puerto Rico Services’ Isla Grande Terminal in San Juan. 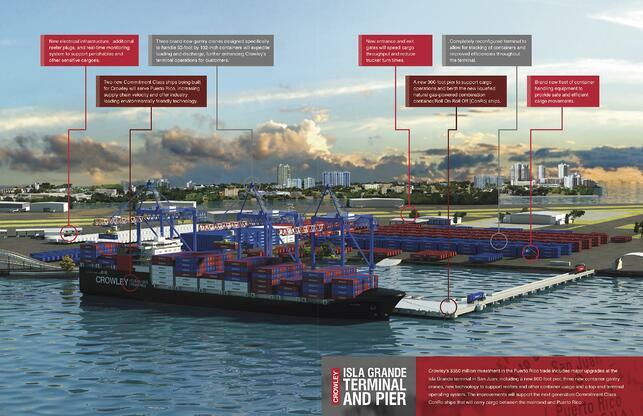 The pier design has been carefully developed with the Puerto Rico Ports Authority (PRPA) and Harbor Consulting Engineers, Inc., of Seattle, Washington. Crowley and Harbor have worked together on infrastructure projects for nearly 40 years. The pier construction and terminal remodelations are being executed by Puerto Rico construction companies Las Piedras Construction Corp. and Del Valle Group, respectively. About 75 jobs have been created during the construction phase. 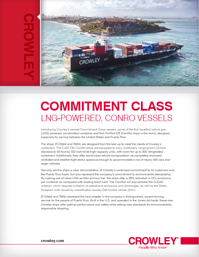 About 100 new jobs will be created as the construction is completed and Crowley begins service with its new ships. Cranes are offloaded onto the new pier at Isla Grande Terminal after arrival in San Juan Harbor. Crowley's team and partners have collaborated on a historic investment at the Isla Grande Terminal to support the Puerto Rico trade. 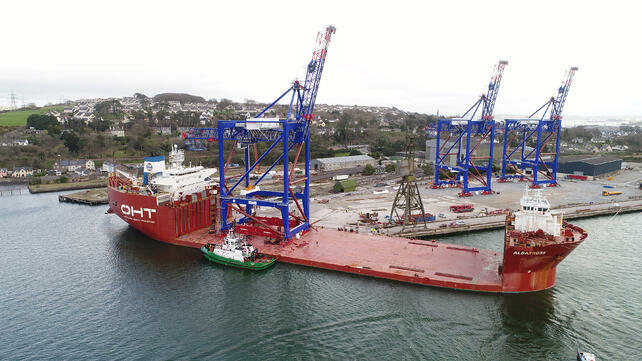 Upon arrival, the OHT vessel was carefully berthed to support offloading the 65-ton cranes after the voyage. The cranes made a rare voyage as they were transported erected across the ocean for delivery in Puerto Rico. While we’re busy building two LNG-powered ships, we’re simultaneously investing in new technology and equipment for the Isla Grande Terminal in San Juan, Puerto Rico to efficiently handle their arrival. The Commitment Class represents our long history of partnership with Puerto Rico, and it includes a major investment, of approximately $130 million, locally in infrastructure. 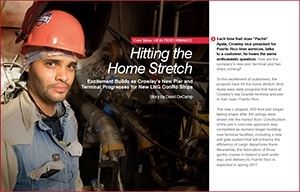 For the first time in more than five decades, three new, specialized gantry cranes will arrive to for use at Crowley’s Isla Grande terminal for cargo loading and unloading operations. Additionally, a new 900-foot pier is being constructed to efficiently service the new LNG-powered ships carrying cargo to and from Jacksonville, Fla. The cranes will each have a capacity of 65 long tons and measure approximately 65 meters tall, with an outreach of 40 meters. They will bring the best-possible container-handling technology – including operator-assist modes, laser profiling that targets containers for precision handling, memory settings and truck positioning system – to the Puerto Rico trade, all features that improve safety and maximize container loading and discharge efficiency. Other improvements include developing the new 900-foot-long, 114-foot-wide concrete pier and all associated dredging needed to accommodate Crowley’s two new ships; expanding the terminal’s capacity for handling refrigerated containers; paving 15 acres to accommodate container stacking; adding containers to its fleet and container handling equipment; installing a new electrical substation to provide power for the new gantry cranes; constructing a new seven-lane terminal exit gate for increased efficiency; and installing hardware for a new, state-of-the-art terminal operating software system.